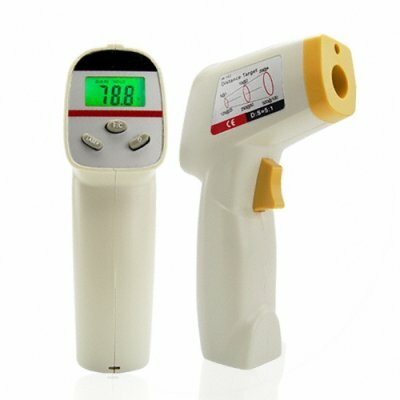 Successfully Added Terrific Pistol Grip Infrared Thermometer to your Shopping Cart. Terrific Pistol Grip Infrared Thermometer. This infrared thermometer will amaze you with its ability to take temperatures without touching things. Perfect for testing engines, air conditioning units and the like - if you need a temp just point and shoot. Great also for getting temperatures from hard to reach places - heater pipes etc. With easy Celsius and Fahrenheit switching, back light and optional laser pointer, you'll be getting accurate readings wherever you are and whenever you want. A perfect addition to every toolkit and a very interesting gift, buy today at great prices from the original direct from China wholesaler - Chinavasion.